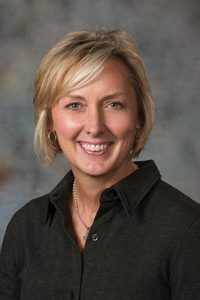 Senators advanced a proposal March 26 to place a social worker in each of the state’s 17 educational service units to aid students with behavioral and mental health problems. Introduced by Fremont Sen. Lynne Walz, LB998 would create a fund for a collaborative school behavioral and mental health program. Once the initiative receives $3.6 million in funding, each ESU would hire a social worker who would train teachers and school personnel and work with parents, schools, behavioral and mental health care providers and other resources to connect students with services. Social workers hired under the program could use screening and assessment tools to identify students in need of services and assist in matching students with appropriate health care providers. The ESU coordinating council would solicit annual program plans from each ESU, identify evidence-based best practices in interventions for students, coordinate training for social workers and other school personnel and complete annual evaluations of the program. It also would create and maintain a statewide map of behavioral and mental health services. Walz has said that private donors have agreed to fund the program. As introduced, the bill would have required that a program’s cost be shared by the ESU, school districts within the ESU, state general funds and private donations if the ESU decides to continue the program beyond three years. An Education Committee amendment, adopted 31-2, instead would require that the ESU, school districts within the ESU and private donors—not the state—pay for a program if it is extended. It would authorize ESUs or the coordinating council to hire a social worker but would not require them to. 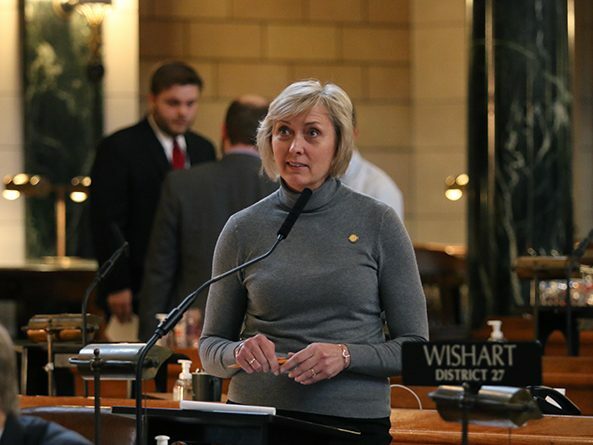 Elkhorn Sen. Lou Ann Linehan introduced an amendment to the committee amendment, adopted 26-0, that would limit the program’s funding to private donations. It also would end the program in 2022. The amendment would require each school district with which a social worker interacts to designate a contact person for that social worker at each school in the district. Bayard Sen. Steve Erdman opposed the bill and filed a bracket motion to effectively end debate on it for the session. Even though Linehan’s amendment would sunset the program and ensure that no public funds are used, he said, a future Legislature could choose to continue the program using property tax dollars. Erdman’s motion failed on a 7-15 vote. Sen. Dan Hughes of Venango also opposed the bill. He filed an amendment that would prohibit any ESU from receiving revenue from property taxes, state aid or state general funds for a program that it administers and that was started with private funds. Hughes said that the amendment would ensure that no property tax dollars are used to pay for the program if its sunset date is extended. The amendment failed on a 17-14 vote. Lawmakers then voted 27-8 to advance the bill to select file.